On Tuesday evening, Hina had an early pack up from the sets of Kasautii Zindagii Kay and she decided to go swimming in her building. 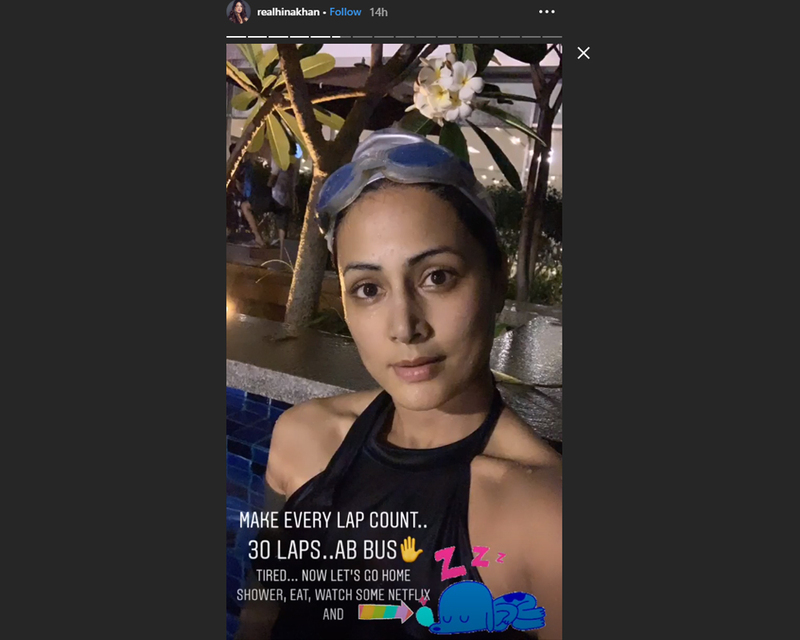 Yes, the actress took to the photo-sharing app to share a couple of videos, where she can be seen inside the pool and all smiles as she says that the perks of an early pack up are that you can go swimming. Sharing her 'after swim' picture, Hina wrote, "Tired now. Let's go home shower, eat, watch some Netflix and sleep."